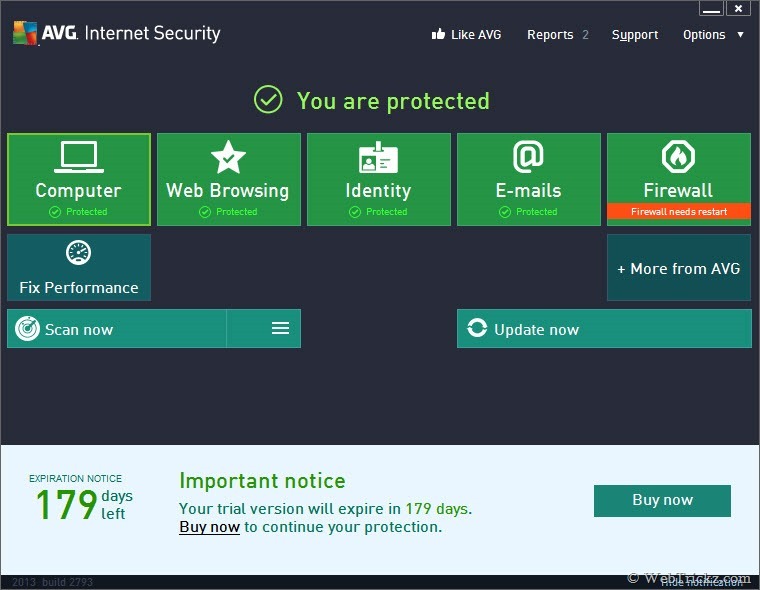 AVG Internet Security 2013 is an award-winning protection suite for Windows that protects your identity when doing online tasks such as shopping, banking, browsing, email, social networking and more. AVG IS 2013 also protects your personal data from hackers and offers faster scan and video streaming experience. It includes all the features of AVG AntiVirus 2013 thus to protect your system against viruses, threats and other malware. AVG provides a 30-day trial for their products and 1 year subscription of AVG Internet Security costs $54.99. 2. During installation, enter the below license number when prompted. ~ You can also activate after installation from Options > Activate. Disclaimer: The above stated license key is Not illegal or a pirated one. The serial key is from a promo which apparently provides the same license code to all users. Thanks for the share! The source please, I’m not going to use it until I see the promotion source! Source: http://blog.avg.pl/pcformat/ Hyperlinked above, you need to use a Poland proxy to access that page. Also, read the disclaimer.